Frontinus, Sextus Iulius, ca. 35–103 CE, was a capable Roman civil officer and military commander. Praetor of the city in 70 and consul in 73 or 74, 98 and 100, he was, about the year 76, sent to Britain as governor. He quelled the Silures of Wales, and began to build a road through their territory; his place was taken by Agricola in 78. In 97 he was given the highly esteemed office of Manager of Aqueducts at Rome. He is known to have been an augur, being succeeded by his friend Pliny the Younger. 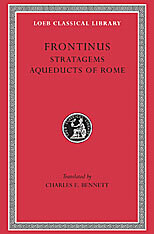 The two sides of Frontinus’s public career are reflected in his two surviving works. Strategemata (Stratagems), written after 84, gives examples of military stratagems from Greek and Roman history, for the instruction of Roman officers, in three books; the fourth book is concerned largely with military discipline. De Aquis urbis Romae (The Aqueducts of Rome), written in 97–98, gives some historical details and a description of the aqueducts for the water supply of the city, with laws relating to them. 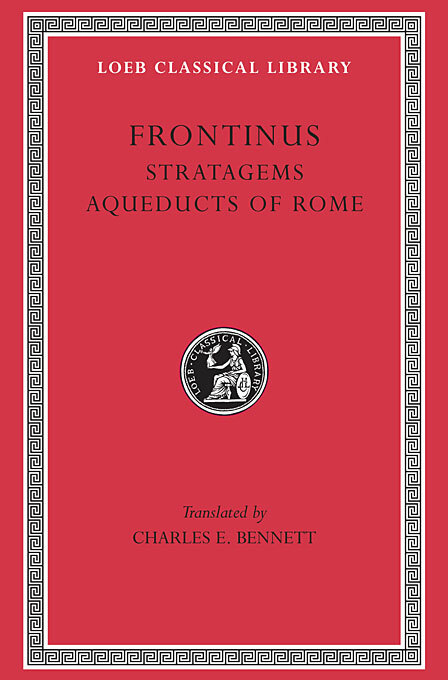 Frontinus aimed at being useful and writes in a rather popular style which is both simple and clear.